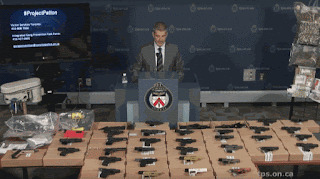 Toronto cops announced the largest single seizure of handguns with 60 taken off the streets. 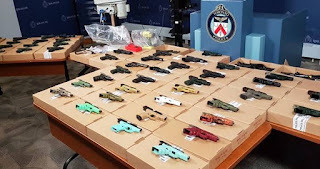 The gun seizures were part of a nine-month investigation called Project Patton that resulted in the arrests of 75 people and over 1,000 charges. 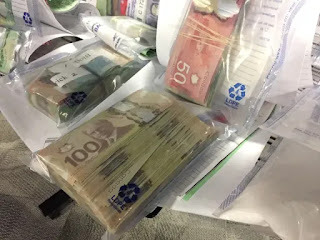 Police said 53 search warrants were carried out around 5 a.m. Thursday in the GTA, including Toronto, Durham, York and Peel Region. Police seized cocaine, fentanyl, carfentanil, heroin and marijuana. 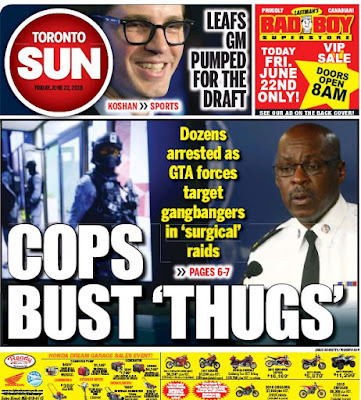 The arrests follow a series a violent gun homicides across the city. In one incident, two young girls were shot at a playground in Scarborough. They will survive. 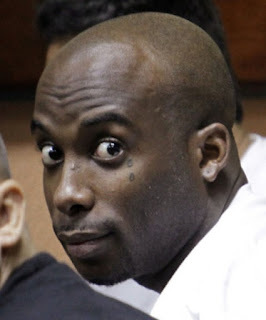 Guns can be purchased in Florida for around US$500 and are sold on the streets of Toronto for $4,000.